Great CENTER-TBI short news story on EuroNews “I was not who I was” – Research into new care for traumatic brain injury victims. The Lancet Neurology Commission on Traumatic Brain Injury (TBI) was launched at the European Parliament on the 7th of November 2017. The Commission targets policymakers, funders, patient organizations as well as health care professionals. 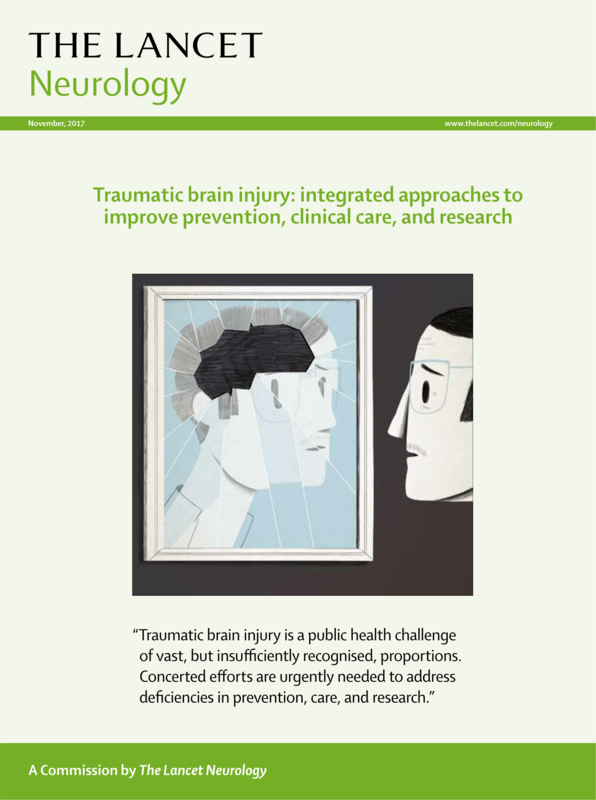 It has involved over 300 clinicians and researchers, including leading experts in the field, many of whom are part of the International Traumatic Brain Injury Research (InTBIR) initiative (https://intbir.nih.gov/). Check out the key messages of this prestigious publication: Infographic TLN. The 2nd LEaDing Fellows call is now open! The LEaDING fellows programme provides 90 researchers from all over the world who recently obtained a PhD, with the opportunity to gain two years of work experience in the challenging, internationally acclaimed and multidisciplinary environment offered by Leiden University and LUMC, Erasmus University Rotterdam and Erasmus MC, and Delft University of Technology. Applicants must have obtained their PhD less than 60 months ago (with possible extension for parental leave, medical training or compulsory military service). Applicants shall not have spent more than 12 months in the Netherlands in the 3 years immediately prior to the recruitment date (1july 2018). The second call opens 1 November 2017, and the deadline for proposals is 10 January 2018 (12:00 PM). Period: 1 August 2018- 31 January 2021. This Summer School is designed to help intensive care residents and staff improve patient care and outcomes in severe neurological emergencies. The goal of this clinically-oriented week is to provide intellectual interaction with leading experts, to gather the essential information needed to treat neurological/neurosurgical patients, including traumatic brain injury, subarachnoid hemorrhage and intracranial hemorrhage. CENTER-TBI is offering 2 waivers for the registration fee for CENTER-TBI participants from Low and Middle Income countries. Please send your motivation letter to apply for the free waiver before March 15th 2017 to neurorianimazione@unimib.it. The TED Initiative is pleased to announce that the first phase of its application process for Seed Project Awards is now open. Seed Project awards will support investigation aimed at validation of TBI clinical outcome assessment measures, blood-based biomarkers, and neuroimaging biomarkers for use in clinical trials. The TED Initiative will award two (2) one-year Seed Project Awards of $275,000 each, and two (2) one-year Exploratory Seed Project Awards of $150,000 each. The CENTER-TBI observational study has left the station on its journey towards the recruitment target of 5.400 patients. PATIENT RECRUITMENT HAS STARTED ! The CENTER TBI study has been endorsed by the Committee International Federation for Emergency Medicine (IFEM) as a project that is relevant to the practice of Emergency Medicine across the globe with the potential to improve patient outcomes. The committee gave CENTER TBI a glowing endorsement as a credible, well-constructed, feasible study in an important area of emergency medicine. The first Phantoms for standardizing MR acquisition across centres have arrived in Antwerp! Each site will get a phantom! The Protocol for the CENTER-TBI observational study has been submitted to the Protocol Registration System of ClinicalTrials. gov for official registration as clinical study. The first CENTER-TBI General Assembly was held on October 11-12th, 2013 at the Zoo of Antwerp in Belgium. The main aim of this first General Assembly was to present an overview of the study plans to all participants, to encourage team spirit, to facilitate discussions between participants and to set the stage for a very challenging and exciting project. On November 1st, 2013 the center TBI website will be live. At this stage we started populating it with relevant public information about the project. We are planning further improvements during the first project’s year. Additional webpages, with access limited to the consortium participants, will be developed very soon. Please, visit it and register for receiving regular update with our newsletter. Please, send your feedback and suggestions for improvement.